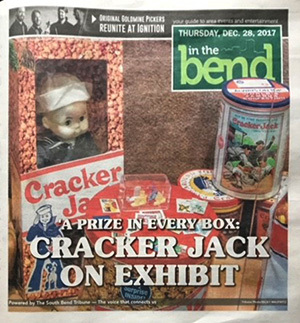 Theresa Richter's Cracker Jack collection on display at Fernwood Botanical Garden and Nature Preserve. 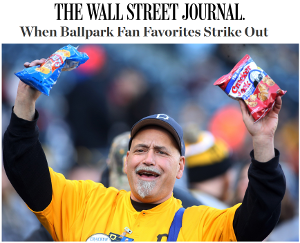 The Wall Street Journal talks with Larry White about the current state of Cracker Jack prizes. 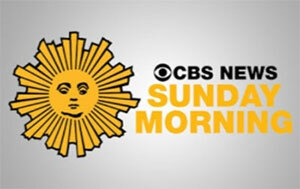 Alex Jaramillo and Theresa Richter spoke to the writer and provided photos and information for this mini segment of this February 19, 2017 edition of the CBC Sunday Morning. 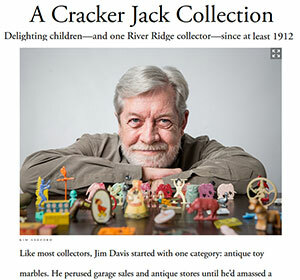 Jim Davis was interviewed for this article in Country Roads Magazine. 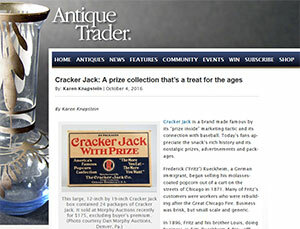 Alex Jaramillo & Teresa Richter were interviewed in a four page article in Antique Trader.